The AE100 Series is a limited express-type electric multiple unit develop to replace the original AE Series in service as the Skyliner limited express. With a new station located directly under Narita International Airport scheduled to be opened in 1991, Keisei decided to develop a new design to replace the older AE Series. The result was the AE100 Series which was introduced in 1990. Referred to as the "New Skyliner" at the time of its introduction, the AE100 represented a leap forward in technology when compared to the original AE Series. 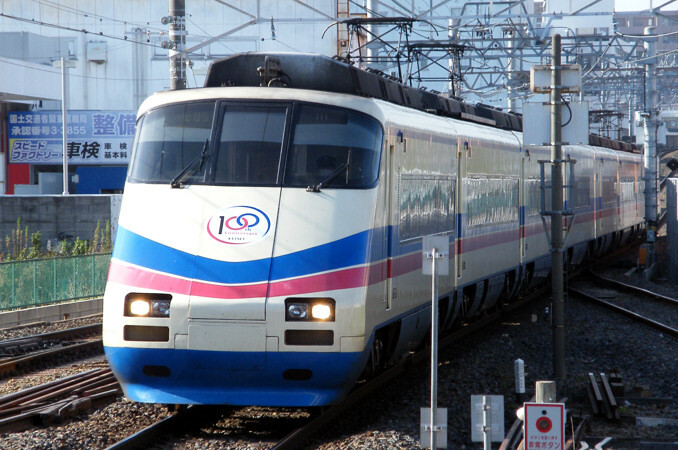 It was the first Keisei train to be built with variable frequency drive and also the first to use AC induction motors. The end cars have a slant-nosed design with retractable headlight covers, giving them a more modern look. They also have a center mounted emergency escape hatch to comply with subway regulations. 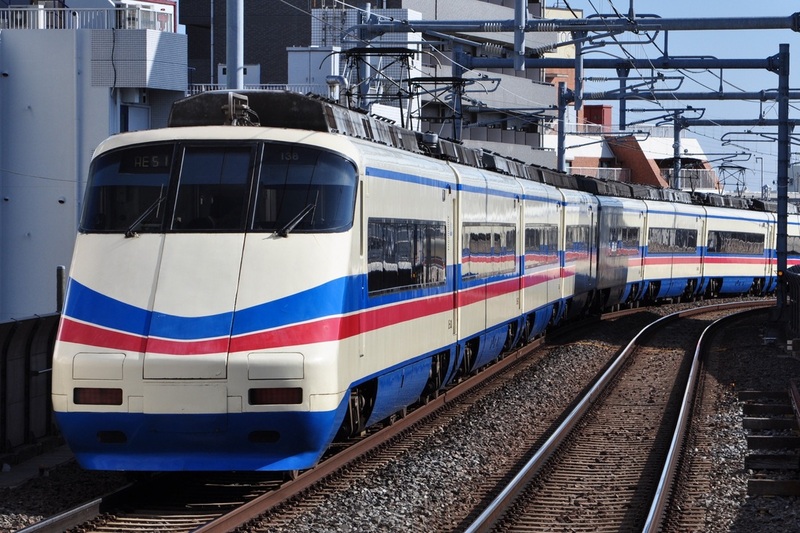 The cars are constructed of regular steel and are slightly longer than average Keisei cars. The AE100 Series was retired from Skyliner service after the opening of the Narita Sky Access Line and the introduction of the new AE Series. Four of seven formations have been removed from service with the remaining three currently operating on the original Skyliner route as the Cityliner.